Happy Monday loves! I'm back at this thing call WERK! Well work that is the 9 to 5. But the way my mood is set up I'm going to dwell on today's post. It's all about weekend wear. I guess I will stay right in the weekend zone. I ponder all the time about what I'm going to wear on the weekend. Most times I like to be relaxed in the day and ready for the night. When you think of relaxed you think of denim and some sort of flats. First thing came to mind this weekend were overalls! 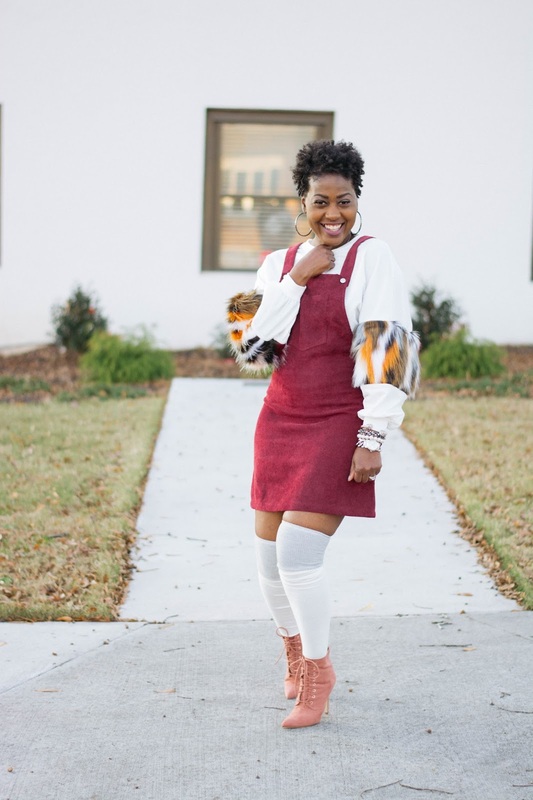 Not just any overalls but this bib pocket front overalls. 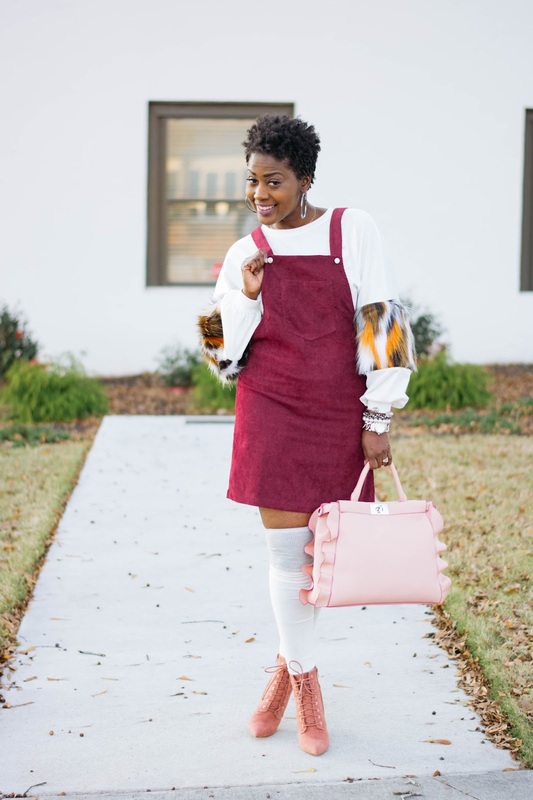 I love it because it's one of the cutest pinafore I've seen in a while. The material, the richness of the color and let's not forget the pocket front! 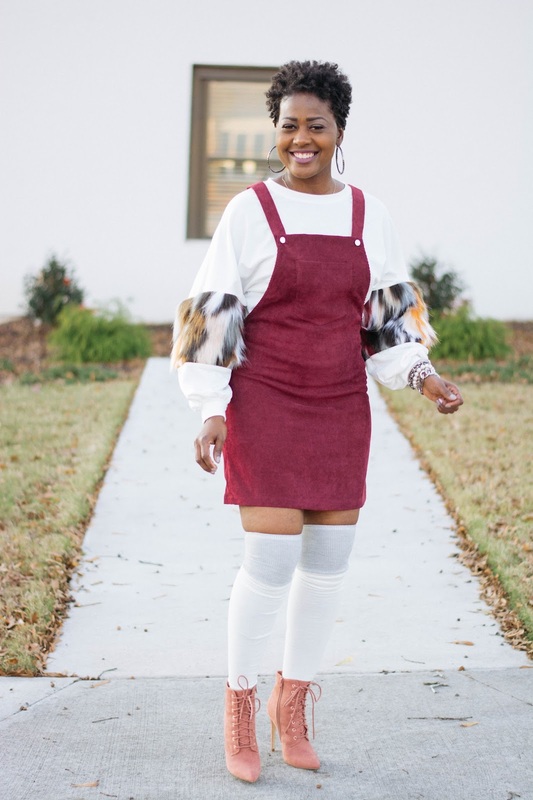 With winter taking it's turn in Atlanta this drop shoulder pullover with faux fur sleeves was a MUST. Dolls when I stumbled across this cutie, I fell in love. 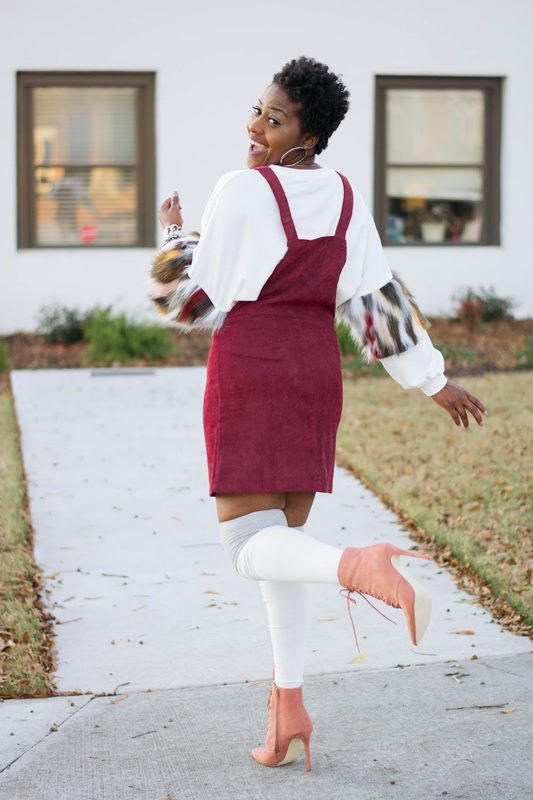 Take a look at how I styled this cutie. 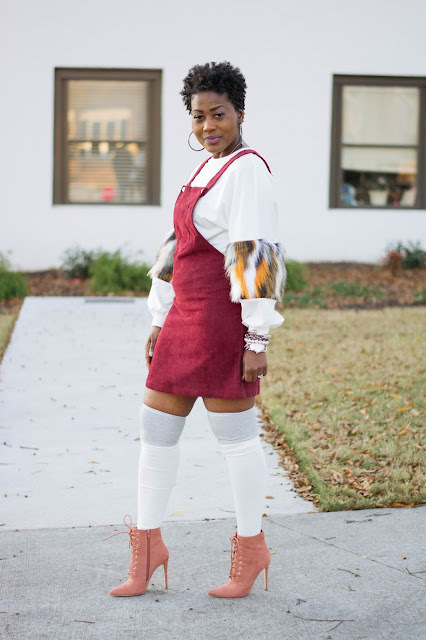 The OTK socks with booties sealed the deal for this look. 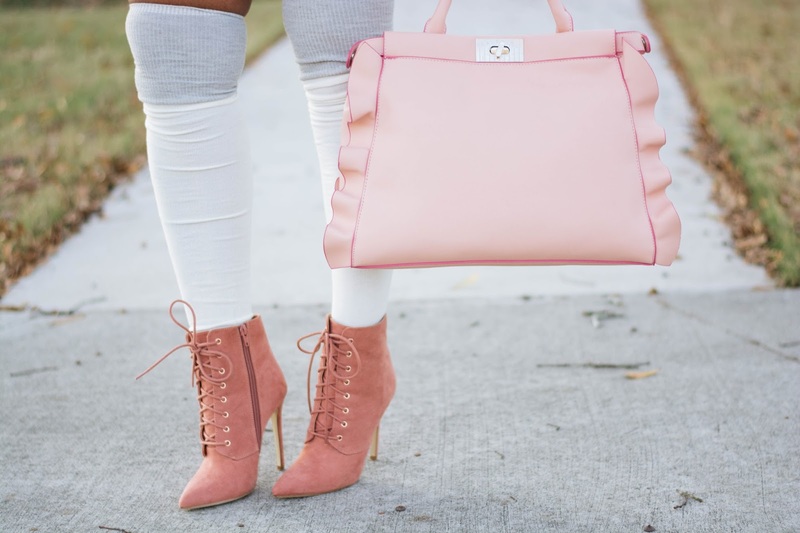 These are not just any booties Merel from Justfab are fabulous in dusty rose color. They are quite comfy and a eye catcher. There is nothing like great shoes to complete a ensemble. Want to see more overall sensation here. What were you wearing this weekend? Any Pinafore looks out there. I'm looking to expand my wardrobe with more. Drop me a line I would love to know your thoughts. Who's ready for the weekend and it's only Monday. Hands raised! Until next time... Shop Smart. Look Fabuless!